Though lacking the excitement of daily commentaries on TV, for patient investors farming is an asset class worth considering. Bridging the worlds of farming and financial services requires rather specific expertise, but it can return high. After all, the world population is growing and they all have to eat. Gregory Fleming: Griff, what motivated you to move from a traditional investment career in pensions and investment funds into advising on and structuring of farmland investments? Griff Williams: A desire to make agriculture investment accessible to institutional investors. Agriculture is an asset class that delivers real benefits to savings and retirement portfolios, but lamentably, it is very difficult to access it in a pure-play format. It is also an asset class that requires specific expertise that generally does not reside in the financial services sector. As a farmer who has spent over 20 years in the asset management sector, I am blending the two worlds to deliver this objective. What kind of investor considers farmland? Investors seeking exposure to assets that benefit from long-term secular themes such as population growth, changing dietary habits, water and conservation management. Farms offer a hedge against inflation, combined with an income yield. At the same time, investors need to be able to trust the farm managers, or at least the partner selecting them. So that they don't have to go down to the farm and check what's happening there. Is agriculture sufficiently exposed to the modern, services-based economy to offer good returns? The global population is expected to increase by 50 percent, to more than nine billion in the next 40 years, while food demand is set to grow by over 60 percent as the world becomes wealthier. Shifts in diet preferences toward protein foods are well-attested in enriching societies, and this will increase the demand for land resources. What is the best time frame for taking a stake in farming? Much depends on the mode of investment, but an investment horizon of five to ten years or a longer-term, strategic allocation is reasonable. For investors preferring the fund route to a direct investment, between three and five years is the shortest time frame to see results, but that renders the investment rather prone to the fortunes of just a few growing or production seasons. Capital gains on farmland are also likely to accrue more reliably over longer horizons. What kind of return can investors expect? A good internal rate of return would be around 12 percent to 15 percent per annum. Would you say that any one kind of crop or product is superior, from an investor's point of view? I have looked at opportunities in dairy, livestock, cotton, sugarcane and fruit, soya, grains, and other rotational crops. Each has unique and demanding characteristics that require very solid experience on behalf of the farm managers. All the farm products benefit from intractable global demographic trends, but within this rising demand trend, some crops are considerably more volatile. What approach should investors take? Maximizing sustainable yield and minimizing environmental risks means that it is critical to partner with real farm operators. These markets have quite distinct returns time frames and performance drivers from the farmland itself. 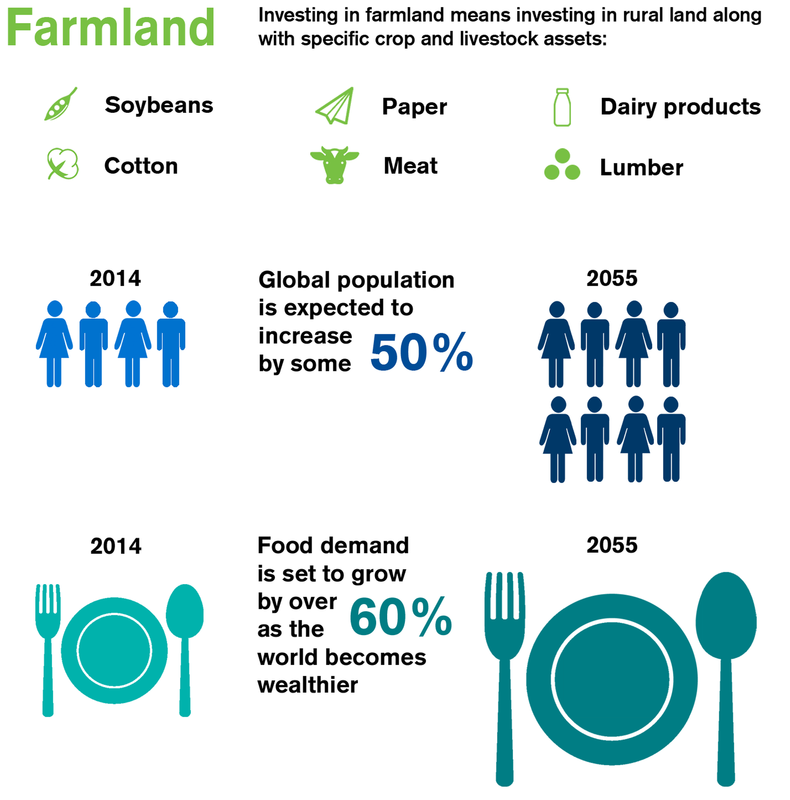 What are the special characteristics of investing in farmland globally? The key point is that agriculture, in many countries, remains a politically defined investment universe. A set of agricultural economies, however, has liberalized its farming sector to reflect global market prices, and these countries have seen substantial efficiency gains. It's important to stress that agriculture can survive and thrive in a high-income country, without state price support. Finding those liberalized land opportunities does require a broad range of skills. Have you identified some best-practice markets, or does it vary from farm to farm? The set of undistorted farm product opportunities is quite small, in country terms. The best operating environments are seen across Australasia and in selected Latin American countries such as Uruguay, Paraguay and Brazil. Once a number of farmers in a given country adopt the best technologies and practices, the pressure on the other farmers builds up rapidly. Still, there are enough under-performing farms in countries with sufficiently good investment conditions to provide opportunities for a portfolio approach. The New Zealand national comes from a farming family on the North Island, where he continues to have dairy farming interests. At Milltrust he is responsible for designing and co-managing the globally diversified agricultural strategy with special focus on Australia and New Zealand. Prior to Milltrust, he was Head of Europe and Interim CEO of Itaú Asset Management.